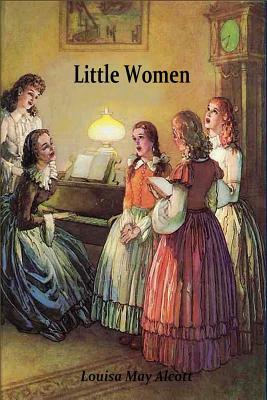 Little Women is an American classic, adored for Louisa May Alcott's lively and vivid portraits of the endearing March sisters: talented tomboy Jo, pretty Meg, shy Beth, temperamental Amy. Millions have shared in their joys, hardships, and adventures as they grow up in Civil War New England, separated by the war from their father and beloved mother, "Marmee," blossoming from "little women" into adults. Jo searches for her writer's voice and finds unexpected love...Meg prepares for marriage and a family...Beth reaches out to the less fortunate, tragically...and Amy travels to Europe to become a painter. Based on Louisa May Alcott's own Yankee childhood, Little Women is a treasure - a story whose enduring values of patience, loyalty, and love have kept this extraordinary family close to the hearts of generation after generation of delighted readers. Includes unique illustrations.